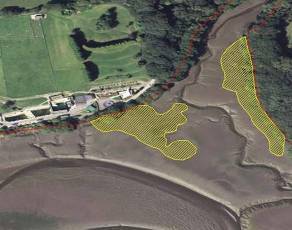 The Fal & Helford Special Area of Conservation (SAC) on the south coast of Cornwall is designated for the internationally important coastal and sub-tidal habitats found within its sheltered, shallow ria and estuarine environments. 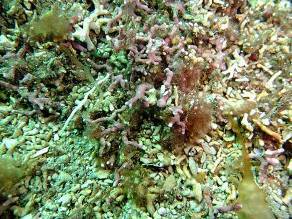 Of particular importance is the presence of large, continuous beds of live maerl, coralline algae that supports a wide variety of marine life and performs an important role as a nursery ground for commercial species of fish and shellfish. Numerous studies on the habitats and sediments of the area have been carried out over the last 50 years, and in early 2013 Natural England (the government body responsible for managing and conserving SACs in England) commissioned Penny Anderson Associates to combine all the habitats data found within the various studies into a single habitats map. Habitats data were exported from each report in turn, and saved in a standard Geographical Information Systems (GIS) format, and categorised into a series of specific habitat features, relevant to the habitats for which the area was originally designated SAC status (called Notifiable Features). 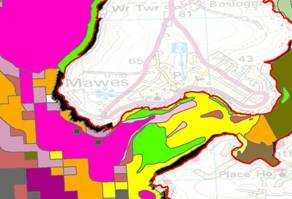 The data was finally saved in a single habitats file, and a GIS map produced showing the extent of the different habitats across the SAC. The use of GIS technologies for projects of this nature allow an efficient means of collating, storing, analysing and displaying data with a spatial element, and the map can be easily updated and amended as new studies and evidence become available. Natural England will use the habitats map to help manage and conserve this important coastal environment, with potential issues arising from a variety of different commercial and leisure activities in the area, including the commercial port at Falmouth, mooring points for leisure boats, shellfish fisheries and pollution arising from land-based activities.